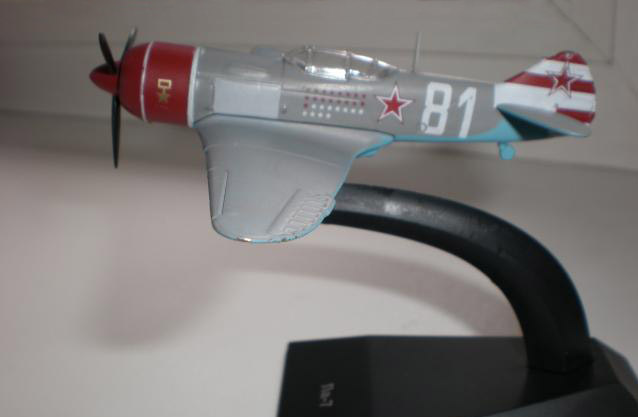 The Lavochkin La-7 (Russian: Лавочкин Ла-7) was a piston-engined Soviet fighter developed during World War II by the Lavochkin Design Bureau (OKB). 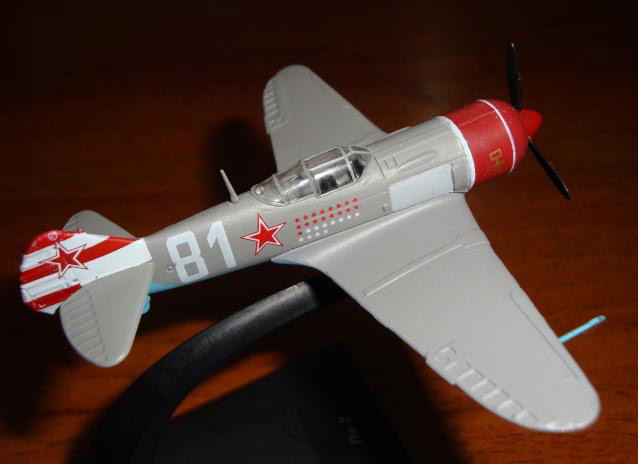 It was a development and refinement of the Lavochkin La-5, and the last in a family of aircraft that had begun with the LaGG-1 in 1938. 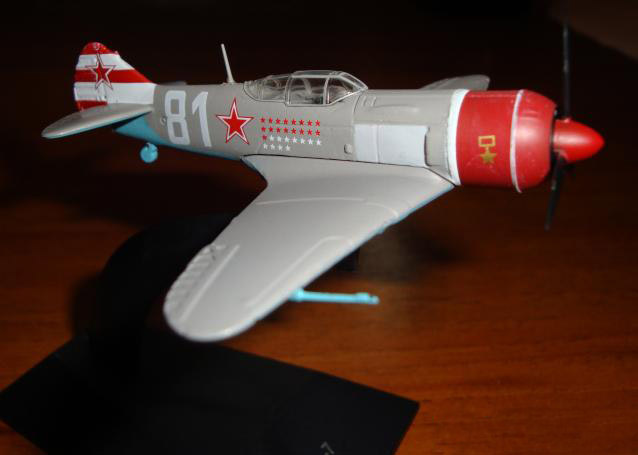 Its first flight was in early 1944 and it entered service with the Soviet Air Forces later in the year. 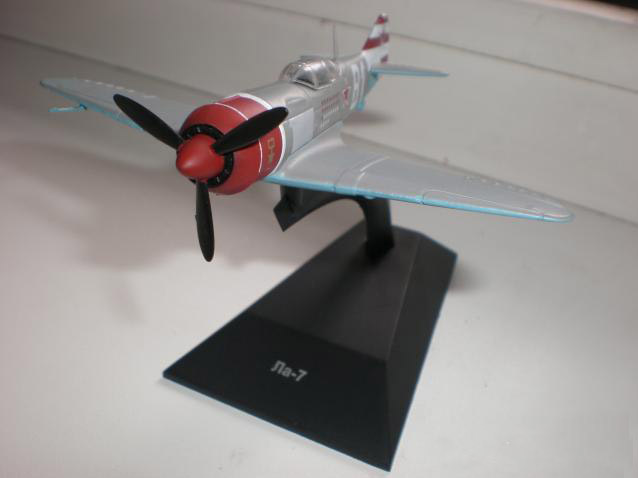 A small batch of La-7s was given to the Czechoslovak Air Force the following year, but it was otherwise not exported. Armed with two or three 20 mm (0.79 in) cannon, it had a top speed of 661 kilometers per hour (411 mph). 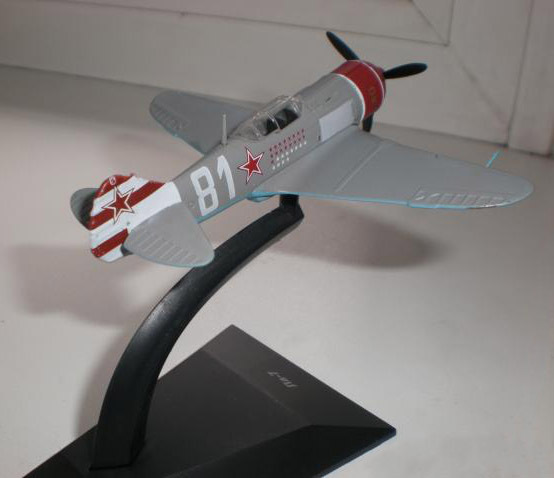 The La-7 was felt by its pilots to be at least the equal of any German piston-engined fighter and even shot down a Messerschmitt Me 262 jet fighter. 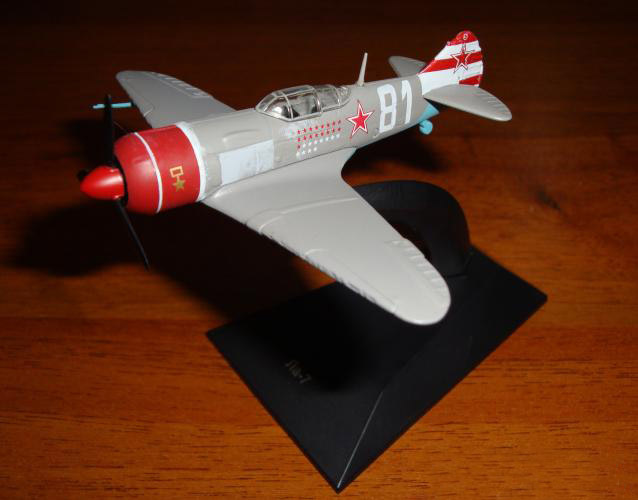 It was phased out in 1947 by the Soviet Air Force, but served until 1950 with the Czechoslovak Air Force.